In my experience with statistics and machine learning, I don’t encounter underfitting very often. Data sets that are used for predictive modelling nowadays often come with too many predictors, not too few. 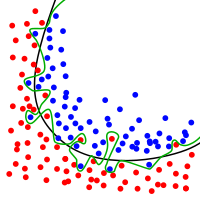 Nonetheless, when building any model in machine learning for predictive modelling, use validation or cross-validation to assess predictive accuracy – whether you are trying to avoid overfitting or underfitting.